It wasn't the most vintage performance, but Manchester United wouldn't care as Marcus Rashford scored to secure all three points at the King Power Stadium. The in-form English international struck inside 10 minutes after pouncing on a defensive error. The Foxes, now winless in the last four games but having incredibly held Liverpool at Anfield just days ago, tried to replicate that spirited performance but left a lot to be desired in the attacking half. 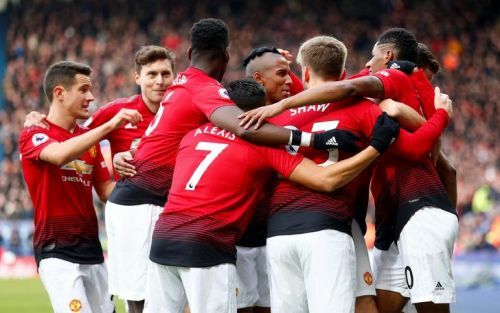 The defeat, a third in the last four games, has relegated Claude Puel's side outside of the top 10 of the Premier League table, whereas the Red Devils continue their unbelievable resurgence under Ole Gunnar Solskjaer and edge within just two points off fourth-placed Chelsea. Scorer of yet another match-winner, Rashford is thriving in his best form for Manchester United since Jose Mourinho left: six of his nine league goals have come since the Portuguese coach was given the axe. And that sixth one was registered today, by another superbly finished effort. Having missed a header early on, he quickly salvaged with a goal in the ninth minute. 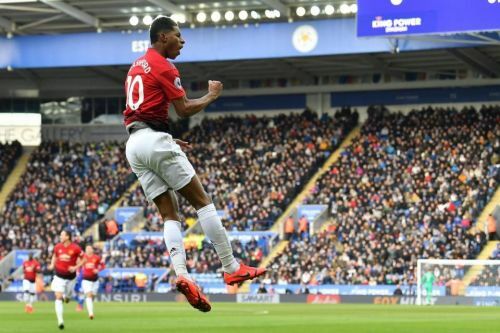 Sneakily stealing in behind an asleep Leicester defence, Rashford connected to Paul Pogba's looping cross with a delightful first touch, before lashing it low past Kasper Schmeichel. And it was enough to get the job done, as the visitors couldn't muster more gilt-edged chances like this. But Rashford is a whole new ballgame these days. He's often in the right position at the right time and his finishing is pure class. In this game too, he was United's best forward, taking a wrecking ball to Leicester's defence with clever movements and an incredible burst of speed. Even though the visitors couldn't find the net again in the match, their best chances came with only Rashford at the heart of it.